Home » Wellness » Health » Why Are My Feet Always Cold? Why Are My Feet Always Cold? Are you that friend that’s always wearing extra thick socks and clinging to the thermostat while you rant about your feet being cold, even when it’s far from being Winter outside? If yes, then you’re one of thousands of people that suffer from constant cold extremities, and although you may think you have a vague idea as to what it may be, the real cause can be surprising. 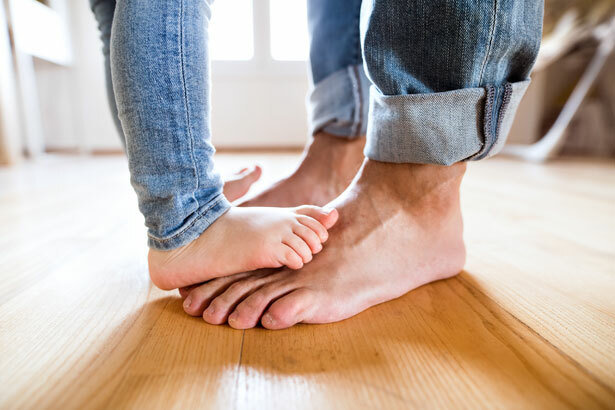 Complaints of cold feet and hands are rather common, and in most cases, it’s nothing to worry about, especially when in cases involving young and healthy people. However, they may just be the sign of something a bit more serious than just a mere sensitivity to cold weather. Blood vessels constrict in low temperature in order to preserve core temperature and protect the organs. That’s why we are always told to cover our extremities, such as feet, hands and head, during the winter, in order to keep blood circulating all over our body. In some individuals, blood vessels don’t work as they should, representing a sign of one of many possible conditions that can sometimes go unnoticed. There’s usually more to having cold feet or hands, as the symptoms can vary according to the underlying cause. In some cases, the skin on the extremities changed colours, going from white, to blue and finally red as the area is warmed up, followed by a prickly and burning sensation that can sometimes be painful. In other cases, a high sensitivity to cold temperatures can be accompanied by fatigue and dry itchy skin. Some diabetics, for instance, are prone to numbness and pain on feet and hands, as well as tingling and burning sensations, thus clearly suggesting a nervous problem. For unaware anemics, on the other hand, a blood related problem can be more evident, when considering the additional symptoms such as fatigue, shortness of breath, dizziness and headaches. There’s an array of causes that could be hiding behind your situation. Down below are listed the most common conditions associated with cold extremities, such as hands and feet. This condition can cause some areas of the body, particularly fingers and toes, to feel cold and numb in response to cold temperatures or even stress, as the arteries that supply the area with blood narrow and bring about limited circulation. The causes behind Raynaud’s disease can sometimes be other underlying diseases of the arteries, such as atherosclerosis and Buerger’s syndrome. This is a hormonal issue. An under-active thyroid fails to produce enough of the hormone necessary to keep all bodily functions running properly, and it’s very common for it to affect blood circulation. This condition, also known as diabetic peripheral neuropathy, is a type of nerve damage that’s most common among individuals with diabetes with chronically high blood sugar, long duration of diabetes and/or abnormal blood fat levels. They cause damage to the arteries and results in their inability to carry oxygen and nutrients throughout the body. Also known as atherosclerosis, this is a disease of the arteries, the main carriers of blood from the heart to different parts of the body. This condition happens when the arteries become essentially clogged, due to a build up of fat or cholesterol that hardens the walls of the carriers and inhibits the smooth circulation of blood through them. It can take years for it to happen and for the symptoms to show. The main cause of this disease is a poor diet, full of fat and processed foods. Anemia is the condition where, generally, the body doesn’t produce enough healthy red blood cells to carry oxygen throughout the entire body. The causes can vary. It can be your a malfunction of your body, where red blood cells aren’t produced in sufficient quantities; it can be the inability of the body to replace the red blood cells lost during heavy bleeding, such as during menstruation; or it can be your body attacking its own cells. Though circulatory issues are somewhat easy to keep in check by avoiding a sedentary lifestyle, wearing extra layers to keep warm and exercising more often, the underlying cause can sometimes be more serious that expected, with bad blood circulation being only one of the symptoms. When there’s more discomfort than often having cold feet, a visit to the doctor should always be considered. Sometimes, simple lifestyle changes can be enough, such as the ones mentioned earlier, however when there’s an underlying serious illness, medication might be necessary. Raynaud’s disease can be easily treated with self care and sometimes medication, while hypothyroidism requires daily intake of synthetic hormone to compensate for the under-active thyroid. In case of diabetic nerve damage, however, there is not cure and the condition can only be treated with thick clothes and more physical activity. Individuals with peripheral arterial disease can eventually reverse their condition and it’s usually done with mostly a controlled diet and regular exercise. Similarly, anemics require some dietary changes and supplements in order to keep their blood running steady throughout their entire bodies. Thus, in summary, keep your bodily functions in check, be aware of any other symptom that may occur together with sensitivity to cold temperatures and try to lead a healthy lifestyle in order to prevent an expensive trip to the doctor. Remember an apple a day… costs less than a big jacket or a box of pills!